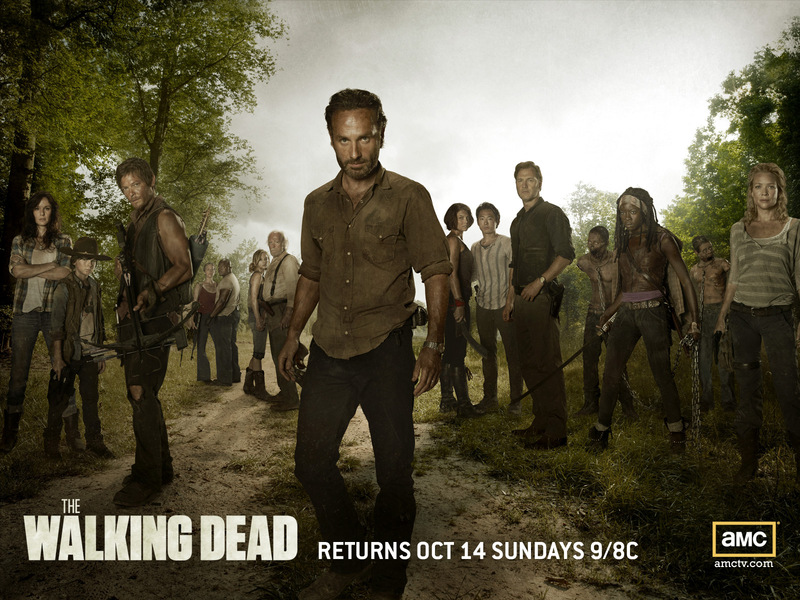 “The Walking Dead” season 3 has finally come to a close and what a ride it has been. First off, let me just say, that this season far surpassed the second season. With two different story lines, this season was able to keep myself and the audience interested and on the edge of our respective seats. We didn’t have filler after filler episode and watch as the group slowly formed into little high school cliques. In this season, we were able to jump from one group to the next and see what was in store for the Governor’s clan and Rick’s democracy. For those who don’t know, “The Walking Dead” is based off a graphic novel series written by Tony Moore and Charlie Adlard. The show depicts a group of survivors trying to come to terms with the world as it stands now and killing the army of the undead to survive. Andrew Lincoln plays Rick Grimes a former sheriff who has been appointed the leader of his group, which consists of Glenn Rhee, the fighter with a heart of gold, played by Steven Yeun, Carl Grimes, Rick’s son and protector of the group, played by Chandler Riggs, Daryl Dixon, the anti-hero, my favorite characters and my favorite archetype, Carol Peletier, the woman who’s finally taken control of her life, played by Melissa McBride, Maggie Greene, a strong woman and lover of Glenn, played by Lauren Cohan, Hershel Greene, the village elder, played by Scott Wilson, and Beth Greene, the appointed caretaker of Rick’s baby child. There are a lot of characters to this show, which makes this show particularly great, but adds to my descriptive length. Within the Governor’s clan, we have The governor himself, who has one hell of a back story. played by phenomenally well by David Morrissey, Merle Dixon, brother to Daryl and even more of an anti-hero than Daryl, played by Michael Rooker, and Andrea, played by Laurie Holden. There is also a newcomer to this show, Danai Gurrira, who plays Michonne, who is a samurai sword wielding vigilante who often fights the bonds she has with people. Season 3 finds Rick and his groups situated in a prison where they not only have to fear the walking dead but the Governor and his Woodbury clan, who only seems interested in destroying rather then compromising. As I said before, this season was great because of the twists and turns it featured, and it benefited greatly from David Morissey’s presence. He did an excellent job in his role as the Governor, he portrayed all the mannerisms of a psychopath, to a t. Whenever he came on screen, he gave me the chills and just his character arch will have you burn through this series. I also liked Rick’s transformation. He appeared to do a complete 180 and I liked how he came to that conclusion, because, at least to me, it seemed realistic. When faced with a situation in which you must fight to survive, I assume, it would be easy to lose yourself, to lose your sense of humanity. And Rick’s arch displayed just that, but once your in the deepest darkest hole, you can witness just how far you have come and either you can continue on that path, or you can change it. Glenn has also come a long way within the series and I like where he is at. Especially with Maggie. I like to see two individuals coming together despite all of their harrowing experiences and truly be with one another. I hope that the writers don’t make an jealousy story lines for these two, that is something I could not deal with. Merle’s story line also makes this show watchable because of his character, which is absolutely disgusting at sometimes, but also because of the choices he makes. I cannot express enough how much I love individuals who drive themselves to destruction and they feel that they have to make amends to something. It may be kind of sick for me to admit that, but still, it makes this show a thousand times better. The finale for this show was good,but doesn’t hold a flame to last season’s finale. But that doesn’t mean it was bad. Season 3 was a much better season, with a lot more characters and a gripping plot, while season 2 became dry and boring up until the finale, which made up for it. Season 3 didn’t need the big firework show at the end, it had that throughout. So watch, “The Walking Dead” and if you already have, let me know what you thought about the finale and season 3.
but I’m glad Andrea is dead. Seriously, she was a terrible character and I was just waiting until the writers just killed her off. She was too on the fence for me and like what Carl said, “If you have the shot, you take it”. She had the shot so many damn times and didn’t take it, so I really don’t have any sympathy for her death.